MOGADISHU - The Ministry of Constitutional Affairs of the Federal Republic of Somalia (MoCA), as a mandated state actor to oversee the overall constitutional review and implementation process, successfully concluded a four-day technical "Retreat to develop the Public Outreach and Civic Education Strategy for the Constitutional Review Process in Somalia." 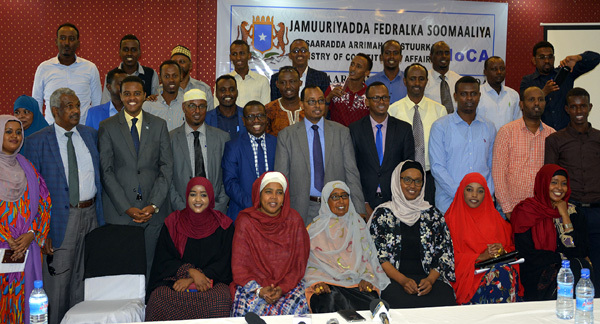 Experts were drawn from the Independent Commission for the Review and Implementation of the Constitution (ICRIC), the Constitutional Oversight and Review Committee in the Federal Parliament (OC), Ministries of Constitution of Federal Member States, Somali Civil Society Organisations (CSOs), and the international community. Supported by EISA Somalia, the Technical Retreat took place from 7th to 10th August 2017 and was attended by over 60 participants including women and youth. Speakers at the opening and closing ceremonies included the Minister of Constitutional Affairs H.E. Avv.Abdi Hosh Jibril, the Deputy Minister of Constitutional Affairs Dr. Hussein Abdi Elmi and the Minister of Information, Culture and Tourism, HE Mr Cabrirahman Omar Osman, who gave his support to MoCA to assist in conveying information about the constitution to citizens to encourage their participation in the constitution review process. At the conclusion of the four day retreat a core team was established to finalise the strategy for a 2- year public outreach and civic education drive with the support of EISA Somalia. BAIDOA - On Tuesday 11th July 2017, authorities from South West State, one of Somalia's Federal Member States, officially launched the Local Government Law and kicked off the district council formation process in the state. The South West State of Somalia, with support from Finn Church Aid (FCA) and its partners, the United Nations (UN) Joint Programme on Local Governance (JPLG), the UN Development Programme (UNDP), and the European Union (EU), is working to create strong, organized and representative district councils, as part of its efforts to improve effectiveness and openness in local governance. The launch of the Local Government Law and the commencement of the district council formation process means that these efforts can now officially move forward in the State. 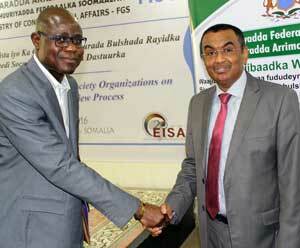 EISA is a member of the FCA led consortium in the project ''Strengthening local governance structures and systems for more accountable and inclusive Federal Member States in support of the Wadajir National Framework''. The aim of the project is to strengthen governance and administration in the districts of Berdale, Hudur, ElBarde (South West State) and the districts of Afmadow, Dollow, Luuq (Jubaland State). 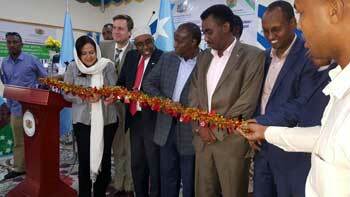 The ceremony was chaired by Shariif Hassan sheekh Adan, President of South West State of Somalia. 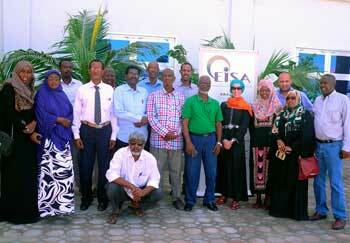 In line with its support to state institutions and non-governmental bodies involved in the constitutional review process, EISA conducted 2 rounds of trainings on the constitutional civic education and public outreach from 14 to 19 May 2016 in Mogadishu. 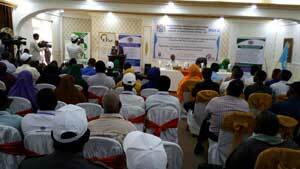 EISA supported a public outreach event of the Ministry of Constitutional Affairs (MoCA) on 24 and 25 April 2016 in Mogadishu. 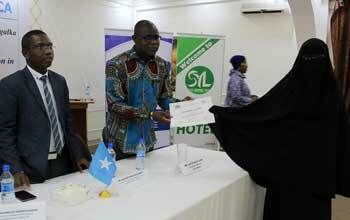 The event gathered more than 100 participants drawn from Civil Society Organisations (CSOs) from all over Somalia. There were delegates from Mogadishu as well as other regions: Puntland, Interim South West Administration, Hiraan & Middle Shabele, Galmudung and Jubaland. During the two days communications on the constitution and the contentious issues related to the constitution making process were made by experts from the ministry and academia. The outreach was a unique opportunity for CSOs to raise their concerns and formulate suggestions during group works and open discussions sessions. This was be the only national engagement between the MoCA and CSOs concerning the public outreach as planned by the federal government. EISA urged the ministry to issue a strong and official communique from the event that will be shared with all the stakeholders including the international community. The opening was co-chaired by minister Hussein Mohamud Sheikh Hussein of Constitutional Affairs; the Chairperson of the Independent Commission for the Review and Implementation of the Constitution (ICRIC), M. Mohamed Abdalla Saleh and MP Mariam Arif Qassim, Chairperson of Constitutional Oversight and Review Committee in the Federal Parliament. The closing was chaired by the Deputy Prime Minister of the federal government, Mohamed Omer Arteh in the presence of the three officials mentioned above. EISA conducted a 4 day capacity building on information sharing and management for the Federal Republic of Somalia Interior Ministry staff. The training enabled for interior staff members to gain capability of project management skills. 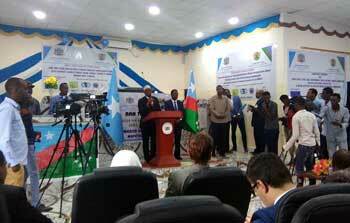 The training was opened by the Director of the interior Minister of Somalia Mr Ali Said Xanale Abtidoon. EISA, along with international partners from UNSOM, Conflict Dynamics International and Interpeace, held a workshop on the different electoral systems in post-conflict countries. The workshop was held in Djibouti and attended by representatives from the Ministry of Interior and Federal Affairs and the Parliamentary Committee on Elections. The workshop was aimed at sensitising the two institutions to the different electoral systems, and to encourage them to carefully consider the best option for Somalia. EISA Somalia EISA provided support to the Ministry of Interior and Federalism in training local government in the "Newly Accessible Areas". These Caretaker Administrations will have the important job of reintegrating the state in areas regained in the military offensives where local government has not existed since the beginning of the Somali civil war. The training of Caretaker Administrations are conducted in cooperation with the Ministry of Interior and Federalism and EISA's Somali partners, the Center for Research and Dialogue. EISA established a curriculum for training and produced the materials based on the institute's broad experience working in local governance in other contexts on the continent. 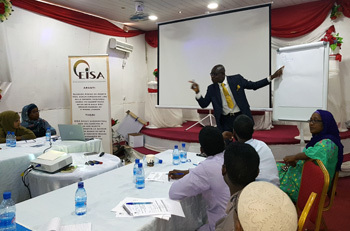 EISA conducted a Training of Trainers on the 28 and 29 April 2014, in May 2013 and 29 November to 4 December 2015. Training has been conducted in Beledweeyne in Hiiraan, Galkacyo in Galmudug and in Mogadishu itself.